In 2016, we installed our first iMSL system at the LNG Terminal in Sines, located on the Portuguese Atlantic coast. 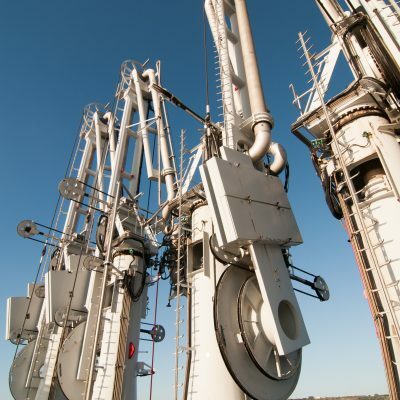 The terminal consists of LNG terminal facilities for the import, re-loading and refill of LNG carriers, three LNG storage tanks, LNG processing facilities, and natural gas regasification facilities for the pipeline connecting to the Portuguese Natural Gas Transport Network. The TGN – Natural Gas Terminal started its activity in 2003 and is run under a private use concession by the company REN Atlântico. In addition to providing the integrated Mooring system like Quick Release Mooring Hooks and the Berthing Approach System, we integrated our latest critical safety Ship to Shore Link product; the iMSL. This installation consists of Fibre Optic, Electrical and Pneumatic Links and Hotphone as per the requirements of ISO28460. In the months after commissioning Sines LNG terminal has seen docking of LNG carriers of various sizes and age. By successfully linking to the various carries, iMSL has proven a wide range of link compatibilities with other ship link installations. The second iMSL project was for the KOGAS Incheon LNG Receiving Terminal Jetty No 1 in Korea. 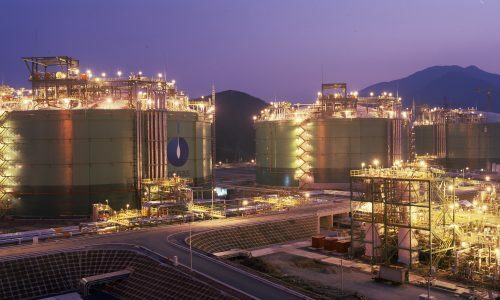 KOGAS decided to construct the LNG terminal II on a reclaimed area located at the north of the existing LNG terminal I. The Incheon terminal is designed for ten LNG storage tanks and a vaporization capacity of 720 ton/hour, and is now one of the biggest facilities in the world. The jetty No.1 is assigned to the terminal II for import of LNG. Mampaey Offshore Industries supplied the iMSL to replace a link system of another manufacturer. It facilitates safety communication (ESD) and voice communication over Fibre and Electrical links. This client also uses the integrated and easy to use active test function of iMSL for the most complete pre-operation system testing available in the market. For this project, we supplied two independent iMSL solutions. The starboard safety link system is based upon the standard iMSL solution and comprises of an Electrical, Fibre Optic and Pneumatic safety link. Each of these links is fully equipped with a storage reel for the umbilical as well as a connector box with loopback functions where applicable. starboard is in effect a complete iMSL shore type system as is typically installed on a LNG terminal. For the portside safety link system, we utilised a high availability, redundant and digital version of our Fibre Optic safety link specially developed for FSRU and hybrid LNG applications. This safety link will connect the FSRU with the jetty or riser where it is moored to, for a link to the shore. The link enables the critical safe transfer of high pressure gas to the shore gas infrastructure, whilst Mampaey’s high speed data link allows FSRU and shore operations to exchange process and network data, CCTV, internet, communications, and has spare capacity for future network services from land that could be many kilometres away. The fourth project is for the Skangas’ new LNG bunker vessel, Coralius. 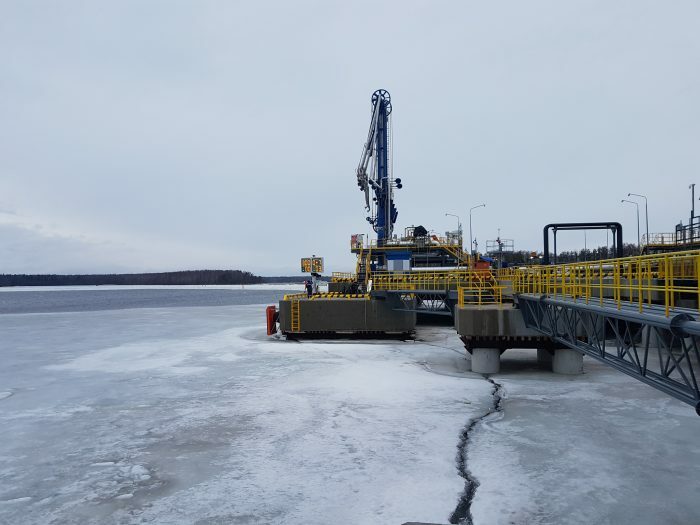 This first European-built LNG bunkering vessel, Coralius has completed its maiden voyage delivering LNG to the Skangas-operated terminal in Ora, Fredrikstad in Norway. 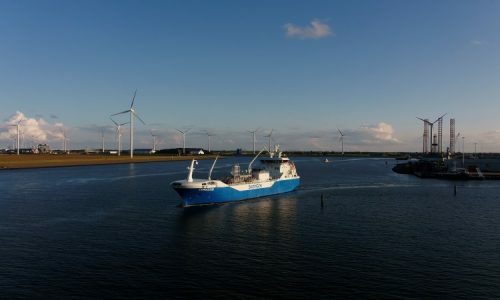 The vessel is on a long-term charter to perform LNG bunker deliveries for Skangas in the North Sea, the Skagerak area and the Baltic Sea. Mampaey Offshore Industries supplied the iMSL which facilitates safety communication (ESD) over the supplied Electrical and Fibre Optic Link and for bunkering a 5 pin ‘SIGTTO’ and Pneumatic Link. 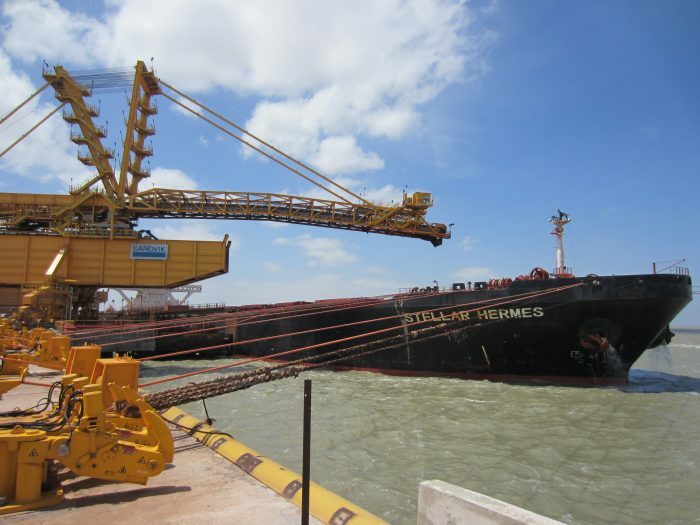 For the Ship-to-Shore cargo loading the Hotphone will be used for plant and public line voice communication. Every iMSL (full scale) system can easily be used as, both shore or ship type system. This allows maximum flexibility for FSRU, LNG carriers and Bunker vessels. iMSL is fully compatible to transmit and receive mooring load data. 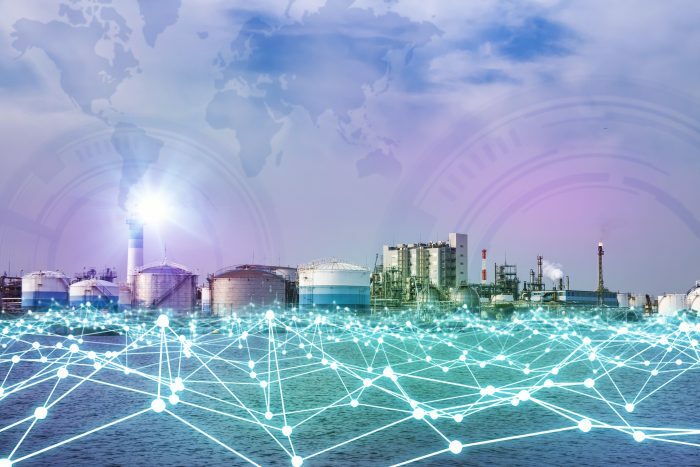 The MLM software provided with the iMSL system can display data from any jetty that follows open industry standard for MLM data communication.